Skilworth Technologies Pvt. Ltd. was incepted in the year 2012. 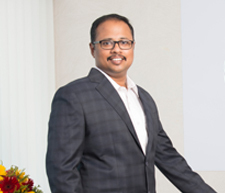 Skilworth's go-to-market brand Bijlipay was launched in July 2014 headquartered in Chennai, is an end to end payment solution provider with a vision to serve financial institutions and businesses through innovative payment solutions. Bijlipay was conceptualized as a game changer in the payment processing industry and was founded by a team with over 50 years of specialized collective experience across the globe. It has ever since disrupted the market, adding thousands of merchants through its holistic approach to product and service. Bijlipay’s payment solutions are brought to market, enabled by the technology of Wirecard AG, Europe's leading payments company. With over 15 years of experience in the Banking and Technology space, Pradeep has worked across geographies, building and leading teams while experimenting with the digital platforms. An MBA graduate from NITIE Mumbai, Pradeep philosophizes the need for ease and simplicity, and has thus worked his mantra in simplifying solutions and enabling superior customer experience in the digital space. Acquiring keen business acumen while being associated with IT giants such as TCS and Cognizant, he has held various strategic leadership roles and has significantly contributed to their growth. His last assignment was as the Head of Digital Channels at Citibank, after which Pradeep joined Bijlipay as its Chief Executive Officer. A technocrat at heart, Eniyan carries over 10 years of experience in the field of Payments Product & Technology. A realist, Eniyan enjoys working on solutions for real world problems in the payments domain. 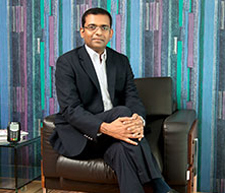 He has built various cutting edge payment solutions that are being used by some of the forerunners in this field, including Citibank, IndusInd Bank and more recently Amazon Payments. With an MBA degree from SP Jain Institute of Management & Research in Mumbai, he dabbles with new technologies, payment trends & customer insights to constantly create best in class product solutions to infuse growth into the organization.